GES installed the first turbines at the beginning of the nineties. Thousand of turbines later, the installation procedures of the company summarise the experience and lessons learned. GES has worked at sea level and high altitude, in the desert and in freezing temperatures, in daylight and at night time. the company applies lean concepts to installation as efficiency drivers to minimize task duration. The flexibility of resources is key to adapt to fluctuating workload. All of this ensuring the highest Health and Safety standard despite the world region where the project is located. Wind turbines have rased exponential its size. This together with the remote location of the projects, that makes logistic and transports difficult. Sometimes it even requires special transports for the bigger blades above 50 meters long. GES is in charge of the transporrt of all the turbine components from plant to site, no matter the dettermining factors. GES has installed 26,400MW wind, which represents the 5% of the world total installed capacity. GES offers the complete installation services, including transport, cranes, and manpower. The company has its own LG 1750 and agreements with relevant cranes operators in the regions where the company is present. This allows GES the assembly of all existent turbines, even the 140 meter high. GES is proud of having its own Health and Safety high standards, innovation, and excellence. GES has been pioneer working during night time. One of the key challenges of the project was the team had no experience installing this kind of wind turbines. GES had previous experience with Goldwind turbines, but it was another wind type. Another challenge GES had to face was the need to adapt to the Chinese culture and try to overcome. The most part of the team was Chilean, hired for this project, which was also challenging for the project management. During the execution of the wind farm, there was a 6.4 earthquake at the location. There were no incidents or accidents, but the team needed to reschedule the works plan. a highly professional team committed with the health and safety requirements was key to be awarded by the customer for the good performance without accidents and incidents for more than 147 days. Including the evacuation during the 6.4 earthquakes. This is the first wind farm in the Coahuila state in Mexico. the project has obtained all the environmental permits for the construction and operation of the wind farm. With the construction of this wind farm, Coahuila contributes to the development of the renewable energies in Mexico, to fulfill the international agreements for the mitigation and adjustment of the climate change. Is was a huge project with a very tight time schedule, almost a year. the area is near the municipalities of General Cepeda and Ramos Arizpe in Coahuila. There was no wind farm constructed in the area until now. this was the first project EDPR constructed in Mexico. The utility trusted GES for this strategic project. The execution was speeded up, thanks to the previous engineering work, which led to several foundation optimizations and the customization of the geotechnical study, opting to construct the different kinds of foundation. Simultaneous work at different areas of the wind farm to get things done faster. Resources coordination was key for a time optimation. An intermediate logistic center was needed to get the material faster for each of the areas. Successful management of the CFE (Mexican electric entity) for the coordination of the power outage and the construction. the project could be executed in a positive environment with the community and unions. GES cooperated with EDPR to develop the safety conditions. Both wind farms were placed in Mapuche territory, native Araucanians. Accesses to the wind farms were complicated. There was a flooding area in Los Buenos Aires, that made the foundations works very hard. Expediting procedures of the customer and some deadlines in the equipment deliveries made the schedule compliance difficult. Three new subcontractors have been hired to work at the substation. More experienced companies were overflow, due to the high demand of the market. Crane movements between platforms needed to be done with partial or total crane dismantling. GES worked together with the community. Sand and gravel were bought at the local quarry and a Mapuche women cooperative was created for the services at the dining room. It was necessary to build two bridges to access the site. Water was pumped 24 hours a day to make the foundation works possible at the flooding area. Equipment deadlines have been renegotiated with suppliers and air transport was used to shorten deadlines. A very strength coordination was necessary to work with substructure to ensure the quality of the work. Road survey was continuously done, always trying to reduce the number of hours for the crane movements. 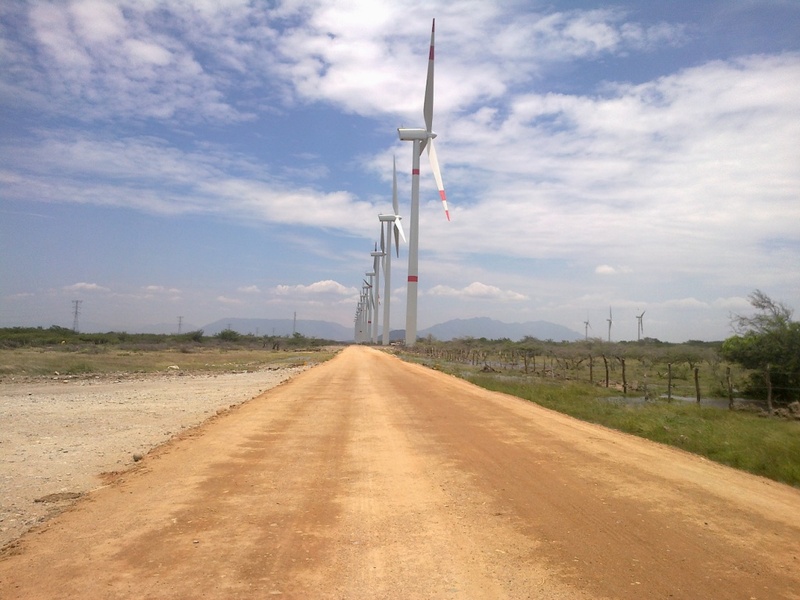 Successfully completion of the wind farm without accidents and with satisfactory quality standards. 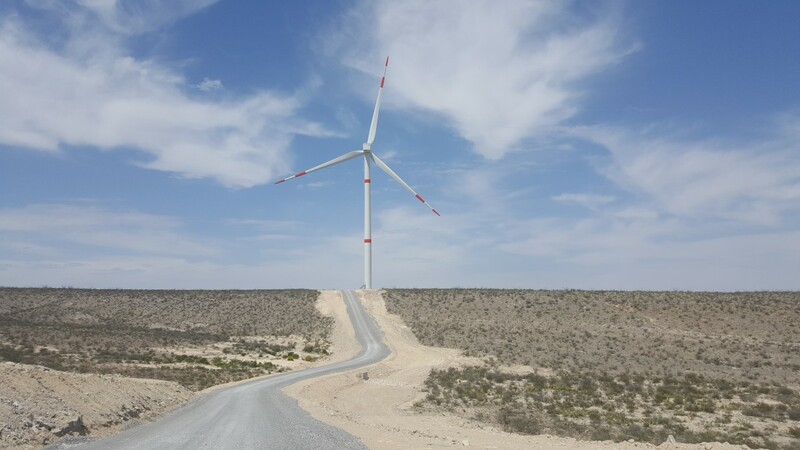 Talinay is the first Wind Farm that GES has built in Chile. Construction of 25km of access roads required for the site built in various terrain and ground conditions. The project goal for construction and commisioniong was under tight deadlines for completion. The main milestone was to have all the turbines ready for commissioning before the 31st December 2012. A comprehensive programme was established to ensure each turbine line with the required production of each phase and the necessary resources to complete all tasks within the required timeframe. We installed a Ready mix Concrete plant on-site for the supply on all turbine foundations, within the wind farm, which resulted in greater flexibility and control. A detailed logistical survey was completed prior to project commencement (to decide between sea or air transport) assisting the procurement and lead in times of required materials in accordance with programme requirements resulting in avoidance of potential delays. We overlapped some of the tasks such as the concrete paving and the Medium Voltage grid to complete the project within the timeframe. 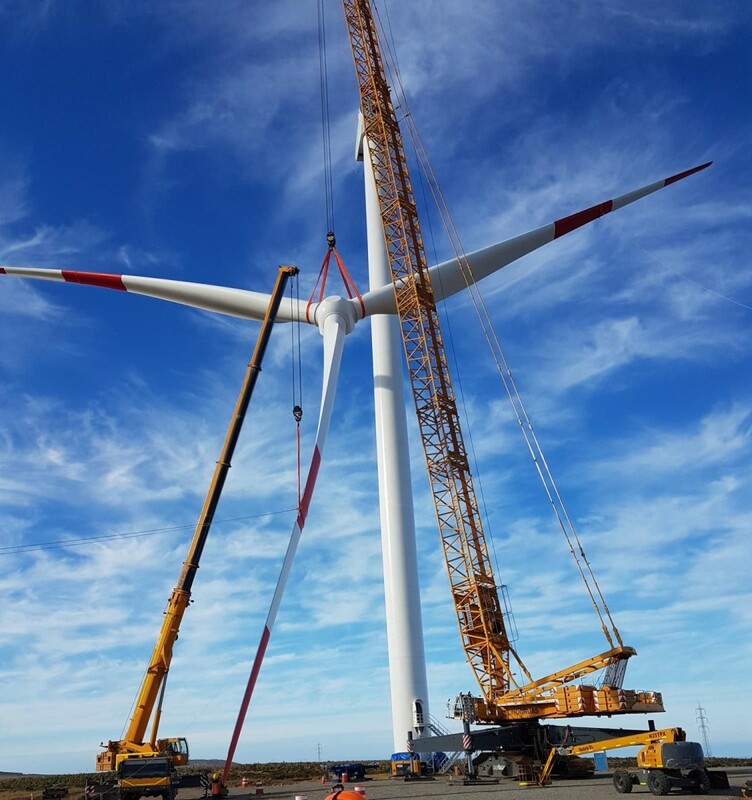 BOP was accomplished within the contractual scope and GES successfully assembled and installed the 45 turbines on time. The project was completed in a record time of 6 months and with no accidents.